A log book loan is a type of secured loan. These loans are secured on your car or other vehicle. The borrower will look to release the cash from his or her car by using it as collateral. If they fail to repay the loan then the lender can seize and sell the car in order to get back whatever money they are still owed. This lessens the risk to the lender who is then happy to lend with no credit check and issue the loans within 24 hours of application. The lender will retain the owners V5 Logbook for the duration of the loan until the customer has re-paid in accordance with the loan agreement. Logbook loans typically do not require a credit check as the loan is secured against the vehicle, so a Logbook Loan is a favourable loan for customers with bad credit history, CCJ's or even Bankruptcy. Loan sizes typically start from £500 up to £50,000 depending on the value of your car. A Logbook Loan is considered a short term loan solution as the interest rates that lenders charge are higher than the traditional high street banks. Monthly interest rates start from 10% and rise rapidly with other lenders, depending on the location and profile of business. The loan period is spread from 12 - 18 months again depending on the lender. Lenders are required by law to display there representative APR's on the front page of their website or marketing material. This will help you to determine the rate of interest, the APR and how much you will repay in both interest and capital during the loan agreement. A general misconception is that the larger the APR the more expensive a loan. The cost of a Logbook Loan is determined by the amount of money borrowed and the number of days you need it for - the shorter the term, the less you'll pay in interest and fees. Yet APR actually increases as the term and cost of a Logbook Loan decreases. Confused? Well, as the loan period gets shorter, the more times you have to multiply and compound interest to make it into a theoretical annual figure! Ask your lender for guidance and clarification at application stage. The lender will secure the loan over the vehicle in a Bill of Sale. Until you have repaid your loan the lender technically is the legal owner of your vehicle. However, you can still keep driving it and once you have paid off your loan the ownership goes back to you. The Bill of Sale will be registered with the High Court in London and the register is open to public inspection. If you default on the payment of your loan, or other terms within the loan agreement, the lender has the right to serve a Default Notice on you under the Consumer Credit Act 1974. If you do not make good the default, within the time stated in the notice, the lender will be entitled to take possession of your vehicle and sell it. What is a Consumer Credit Agreement? Loans made in conjunction with a Bill of Sale will be secured with a Fixed Sum Loan Agreement regulated by the Consumer Credit Act 1974. This allows the lender to formalise the loan in the form of a contract between that is fully regulated under the Consumer Credit Act and by the Office Fair Trading. Growing Number of Lenders in the UK? During the past few years there has been a dramatic increase in the number of people facing financial difficulty. Regrettably, there has also been a growth in the number of small, opportunist and often unethical Logbook and Payday Loan companies. Such companies may offer a quick loan often using extortionate interest rates, high fees and unscrupulous tactics for dealing with late repayments. Logbook loans companies are regulated by the Office of Fair Trading and it is a legal requirement that a Logbook Loan lender must a valid consumer credit license because they are providing credit themselves or are brokering for the actual lenders. The websites of each company will state on it their credit license number along with other business information. There have however been a number of logbook loans complaints over the past couple of years. The Office of Fair Trading confirmed these complaints were about sales processes and repayment arrangements. Other consumer groups have expressed concern at some practices by one company in particular and it consumer credit license is currently under review with the OFT. In January 2011, the Government [Department for Business Innovation and Skills] issued a Government response to a consultation on the use of a Bill of Sale for Consumer lending and in specifically Logbook Loans. In direct response to this report the Consumer Credit Trade Association [CCTA] established a new Code of Conduct for Logbook Loan Lenders to provide much greater levels of customer protection and lender equality in accordance with the report. All Lenders were invited to join the CCTA and therefore by joining the Association will commit to the Code of conduct. 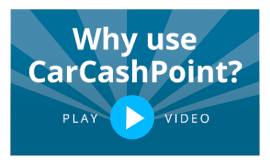 To date only one Lender - Car Cash Point has made the financial commitment to join the association and become bound by the Code of Conduct. Paul Hilburn - www.carcashpoint.co.uk Director "Car Cash Point says NO to unethical lending and poor business practice and believes the CCTA code of conduct is crucial in providing greater protection to the customer"
In summary, logbook loans are a type of secured personal loan that uses a car or any other type of vehicle as security on the loan. Customers should only consider working with reputable Lenders which are members of the Consumer Credit Trade association for their own protection. provide a safety net for the most vulnerable."